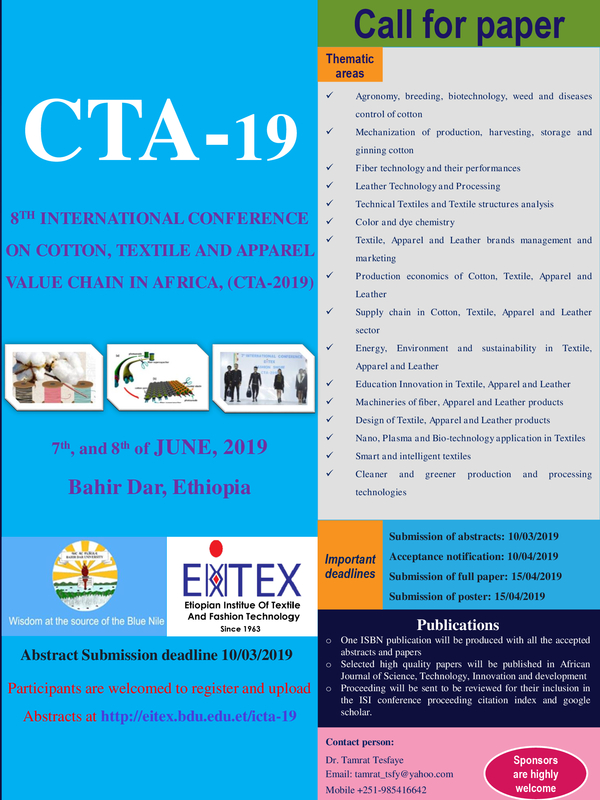 We are happy to inform you all that the 8th Edition of International Conference on "Cotton, Textile and Apparel value chain in Africa" (CTA-19) is going to be held on 7th & 8th of June 2019 at EiTEX-BDU. 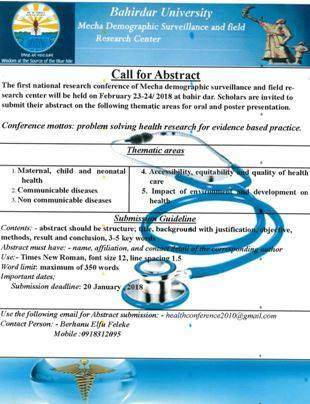 You are encouraged to send us your abstracts. Please have a look at the banner attached herewith for the details. 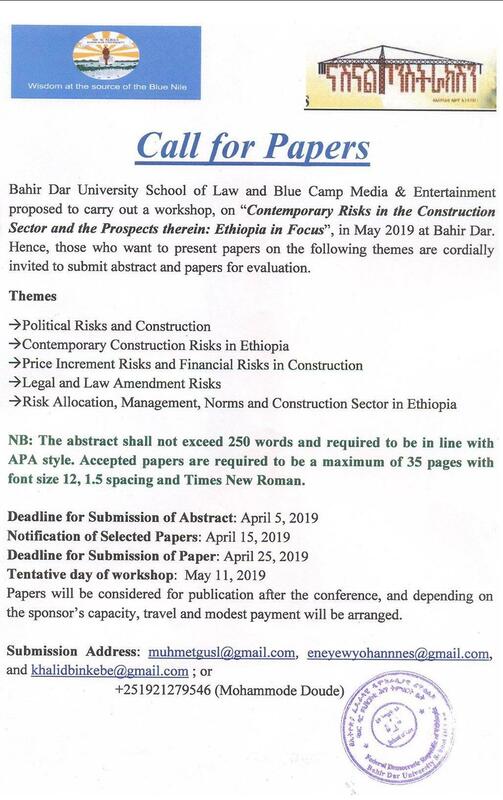 Call for completed research works. 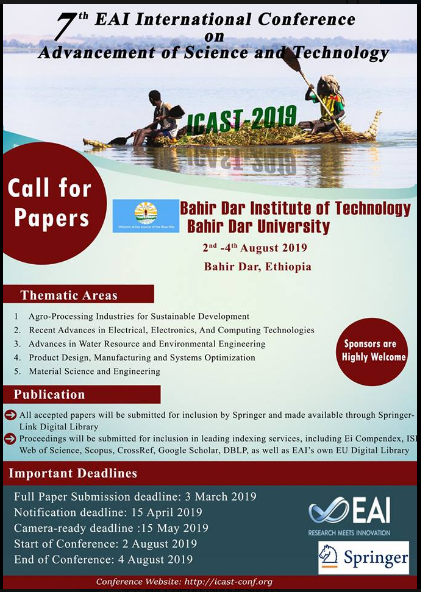 ICT4DA 2019 is the 2nd international conference that aims to bring together researchers, engineers, developers, and practitioners from the academia and the industry to present and discuss their research work in the area of ICT for Development. 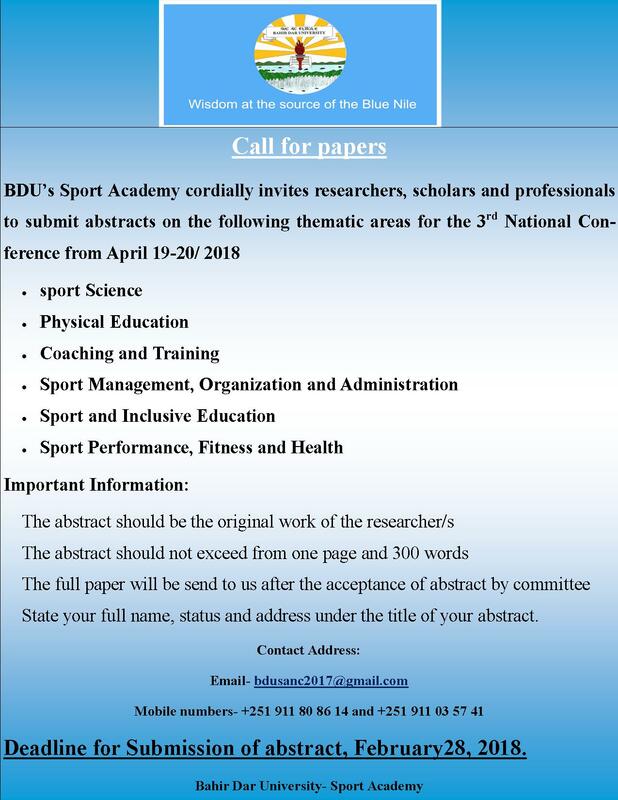 This conference seeks to facilitate the transfer of experience, adaptation of methods, and where possible, foster collaboration among different groups. 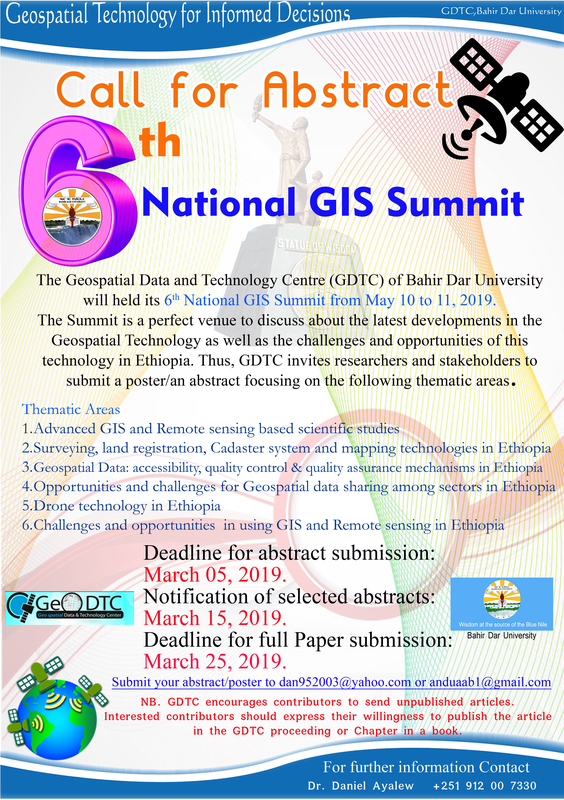 The topics of interest cover all aspects of ICT towards the socioeconomic development. The Conference is categorized under five tracks.